When you want to charge your iPhone at night, it’s great to keep it in an upright position so you can see the screen from bed. There are plenty of docks that do that, but most of the ones I’ve used are so light that I have to use both hands to dock and undock my phone, or else I wind up just pushing the dock around on my desk or nightside table. Grovemade, a United States manufacturer that produces iPhone and iPad accessories from natural wood, has released a dock that changes all of that. 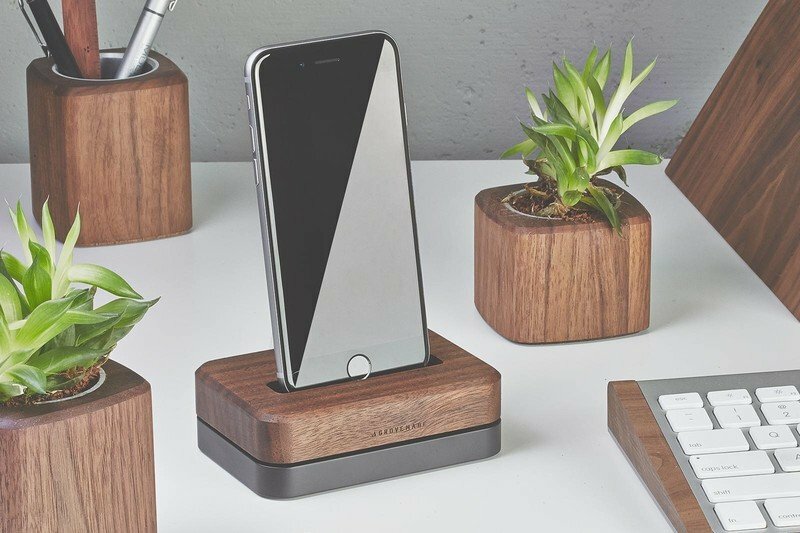 The Grovemade iPhone dock features a 3-pound steel base that ensures it stays put when you remove your phone. The iPhone dock that Grovemade produces has a lovely steel base that weighs in at 3 pounds. The base is topped with a durable cap of hand sanded and oiled wood, available in your choice of walnut or maple. A limited edition dock uses brass for the base and walnut for the cap, retailing at $149. The bottom of the base features cable routing guides, to keep your sync cable securely in place. There are also rubber feet, preventing the dock from scratching or scuffing your furniture. 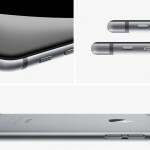 The drawback to the design is that the clip used to hold the Lightning or Dock Connector in place is very tight and difficult to insert properly into the base, because the steel doesn’t have any give to it. Once the connector is inserted, though, it stays firmly in place. 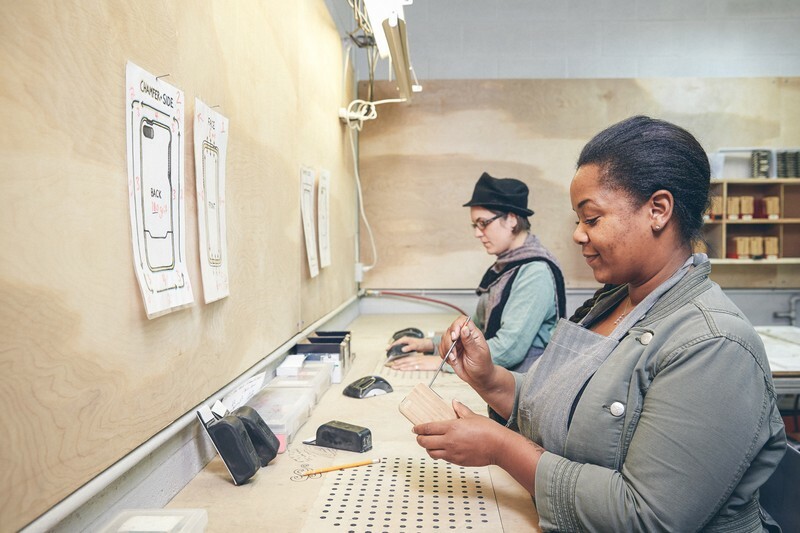 All of Grovemade’s products are made in the United States, which is a definite bonus for those of you who prefer to buy U.S.-made goods. The base and cap are custom manufactured in Portland, Oregon, and the wood is hand sanded and finished with a vegetable-based oil. 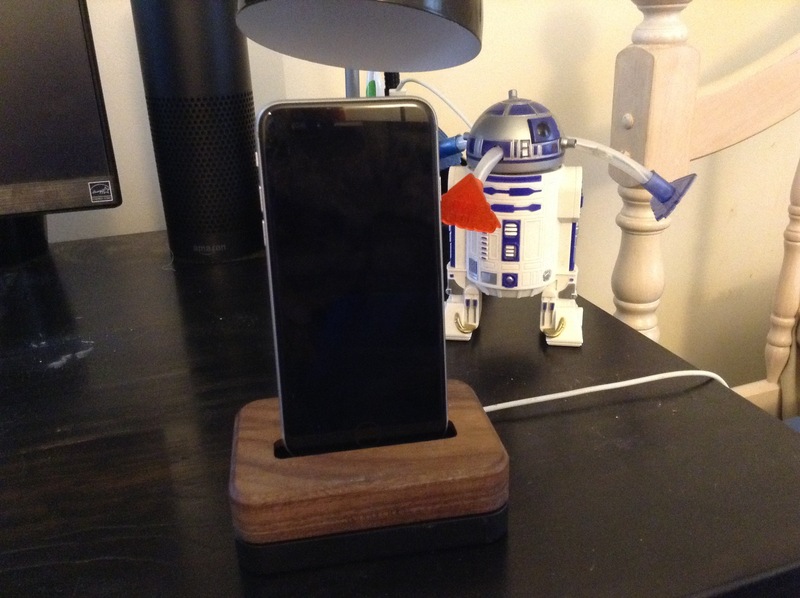 The Grovemade dock works very well with my iPhone 6, and is even designed to accomodate the company’s wooden case or bumper. Unfortunately, this allowance makes for a hole quite a bit wider than the bare iPhone, so docking my iPhone in the dark is a game of hit and miss. I’m sure that if I was using the wooden case or bumper, however, it would be much easier to insert my iPhone into the dock with the lights out. My usual decor is dark, so I chose the walnut cap over the lighter colored maple. It blends quite well with my furniture and other accessories, and my iPhone looks gorgeous docked in it. I occasionally check emails or messages straight from the dock, and it holds the phone at a perfect angle for such usage. I’ve been using the Grovemade Dock for iPhone for a month or two now, and the accessory has held its good looks wonderfully. There are no scuffs or scratches, and dirt and dust is easily cleaned off using a dust rag and furniture polish. The steel base looks as good now as it did when I unboxed the dock. 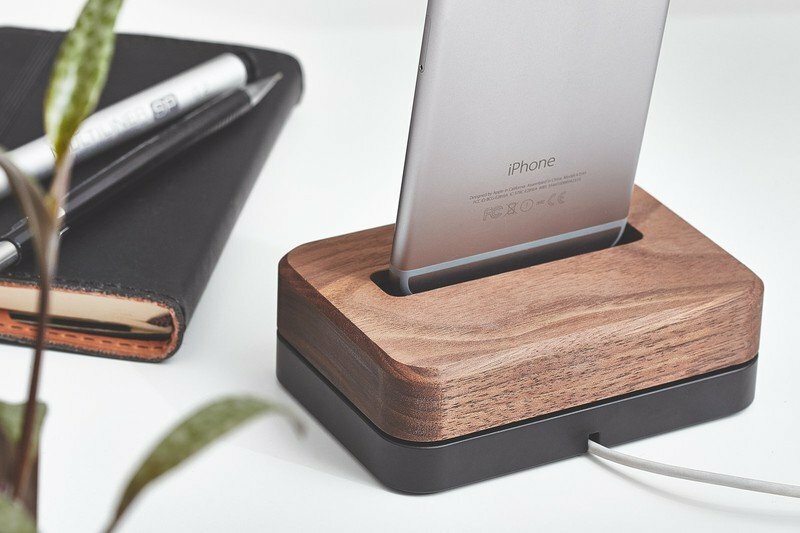 The Grovemade Dock for iPhone is one of the nicest docks I’ve seen or used. It holds its lasting beauty with minimal maintenance, keeps your iPhone at a great angle for viewing, and has a heavy base for one-handed use. This dock is available only from Grovemade, and costs $99. The limited edition Brass Dock for iPhone is available for $149. If you like wooden docks and products made in the U.S., or just want a solid dock that won’t slide around on your table when you use it, this is a terrific choice. It is thoughtfully designed and well made, and is well worth the $99 price tag.